It’s officially concert season! 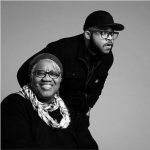 From our own KXT Sun Sets series in Dallas, to stellar festivals in Fort Worth, here are the shows we think you can’t miss this month in North Texas. Beck, Jason Isbell, I’m With Her and more coming up this week on ‘World Cafe.’ Listen Monday-Friday at 11pm on KXT 91.7 FM. 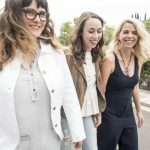 Sara Watkins, Sarah Jarosz and Aoife O’Donovan — otherwise known as the outfit I’m With Her — all head to Majestic Theatre on April 19. Throw your name in the hat for tickets.